The next time you drink or eat something with “Diet” in the name think again! I have spent many years telling my clients about the dangers of using aspartame and other chemical sugars even showing the research that proves that they can cause diabetes and weight gain. There is nothing diet about them and they are really quite dangerous. Anything that increases your exposure to chemicals like formaldehyde is going to affect your body in ways that become dangerous over time. Take a look at this research and the list of products that are mentioned including: diet drinks, aspartame, cigarettes, pesticides, glues, cosmetics, shampoo, and particle board. Another piece of research I have seen recently about ALS which is becoming more prevalent is the research into glutathione and its very probably positive influence in managing this (so far) incurable disease. (See: ALS Options and Springerlink). ALS or amyotrophic lateral sclerosis (also known as Lou Gehrigs disease) has been linked to exposure to formaldehyde found in Diet Soda, Aspartame, chicken and other products. ALS is a disease of the nervous system that progressively causes damage to the brain and spinal cord. Patients eventually lose control of their muscles and become paralysed. “The researchers found that 617 men and 539 women died of ALS during the study period. Only those who reported exposure to formaldehyde had a higher risk — 34 percent higher — of developing ALS. Formaldehyde is used in the manufacture of a variety of products, including particle board, clothing, glues, cosmetics and shampoo. People who work in medical facilities and mortuaries may also encounter it on the job. The pungent chemical has already been linked to higher rates of lung cancer and leukemia. It was not declared a probable human carcinogen at high exposure levels by the Environmental Protection Agency until 1987. Researchers have considered pesticides to be a possible cause of ALS, but formaldehyde hasn’t been raised as a villain before, Weisskopf said. It’s not clear how it might be linked to development of the disease, but Weisskopf said it could set off brain damage by increasing the “stress” caused by oxygen. “Nearly 25% of beauticians reported that they were exposed to formaldehyde. “There are several possible mechanisms for formaldehyde neurotoxicity, said Dr. Weisskopf. If these products can have this affect on your cells what else can they do? Over the years the ‘right’ path to health and fitness has been governed just as much by adaptation to our environment as our evolution has. 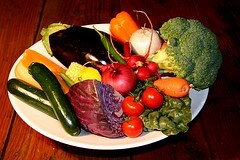 We have adapted to new knowledge, availability, technology and more in our minds, bodies and diets and this course of action hasn’t necessarily been in our best interests as we have found; that just because it is available at this time of year (our of season) a food is not really at its nutritious best, an exercise program is not necessarily better for us than another, and just because a vitamin comes in pill form does not necessarily make it more efficient for our body to metabolise. In fact many of our ‘new ways’ or evolutionary behaviours have resulted in more poor health, less activity and things like soil depletion which robs our food of its nutritious goodness necessitating that we get our vitamins and minerals from pills which are harder for our body to absorb and utilise. What do we need to do about this, use more whole food sources of your nutrition, this may be a whole food supplement as our grown foods do not contain all the nutrition we need any more as our soils across the world are so depleted. So look for a Superfood that has been grown organically and in optimum conditions to add to your diet and ditch most of the pills you have in your cupboard. The only pills I truly recommend are Fish Oil, as they can be a mercury free way of getting the all important Omega 3 fatty acids into your diet. A Biochemist I know told me last year that without minerals we cannot process or synthesise vitamins from food, and as the basis for many of the cellular chemical processes minerals are needed for all health. Now that sounds great and we get lots of minerals from our food, don’t we. Don’t be so sure. 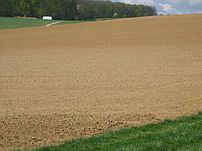 Here in Australia and also in New Zealand, the US and many other countries farmers have been relying on phosphate fertilisers for many years and our soils are now very depleted of many essential minerals and trace elements. This warning to the American people in Senate Document No 246, says it all”Our physical well-being is more directly dependent upon minerals we take into our systems than upon calories or vitamins, or upon precise proportions of starch, protein or carbohydrates we consume. The alarming fact is that foods (fruits, vegetables and grains) now being raised on millions of acres of land that no longer contain enough of certain minerals are starving us – no matter how much of them we eat. 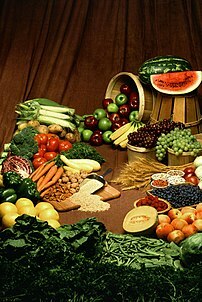 No man of today can eat enough fruits and vegetables to supply his system with the minerals he requires for perfect health because his stomach isn’t big enough to hold them. So what are we to do? Finding a good quality mineral product on the market is not easy, however they can be sourced and it is worth putting the whole family on it, even the children. Minerals can change your life for the better in so many ways. Pour Me A Little More of That Red Wine; It’s Good For Me! For years we have been hearing about how good Red Wine is for us and lucky for me I am only sensitive to white wine (it gives me headaches), so the lastest news will justify my having a little more on occasion ;). Actually I don’t drink that much, but I have to tell you my Gran does, she is now 87 and she has decided that she has to have at least one glass of red a day. She says that at her age it isn’t like she’s going to be driving and it’s good for her. One glass for lunch and one with dinner and lately I am sure the bottle has been going down a lot quicker than it should 🙂 So perhaps they’re extra big glasses. “Earlier studies showed that reducing calorie intake by 30%, or eating a nutritious diet every other day, can delay the onset of age-related diseases, improve stress resistance, and decelerate functional decline, the researchers said. Although dietary restriction has beneficial effects in humans, such a diet is unlikely to be widely adopted and would pose a significant risk to the frail, critically ill, or the elderly. Therefore, the researchers are on a quest for “dietary restriction mimetic” compounds that provide some of the benefits without cutting calories. One contender has been compounds like resversatrol that activate SIRT1, a protein linked to long life in many species, from yeast to mammals. Resveratrol produced changes in the gene expression profiles of key metabolic tissues, including liver and muscle, that closely resemble those induced by dietary restriction, they report. Overall, the animals’ health improved under all dietary conditions, as reflected by a reduction of osteoporosis, cataracts, vascular dysfunction, and declines in motor coordination. However, the mice lived longer only when they were fed a high-calorie diet, consistent with earlier reports. Now this doesn’t mean guzzle it like my Gran! It does mean though you don’t have to feel guilty any more, it’s good for you! Now I know I am going to get a little controversial here but we have been told for years to cover up in the sun, yet now we are all suffering from Vitamin D deficiency. Perhaps it is time to realise that we need to have balance in all things, even sun exposure. Even just a half hour per day in the morning sun before 10am and a half hour after 4pm every day can give us back some of our much needed Vitamin D. Take a look at what this article I have quoted from Physorg.com has to say about the important of Vitamin D to our health and our children’s health and brain power. I have included some more interesting links for you at the bottom of this post. “Drs. McCann and Ames deftly show that while vitamin D has an important role in the development and function of the brain, its exact effects on behavior remain unclear. Pointing to the need for further study, the authors argue for vitamin D supplementation in groups at risk. Vitamin D has long been known to promote healthy bones by regulating calcium levels in the body. Lack of sufficient vitamin D in very young children results in rickets, which can be easily prevented by vitamin D supplements. Only recently the scientific community has become aware of a much broader role for vitamin D. For example, we now know that, in addition to its role in maintaining bone health, vitamin D is involved in differentiation of tissues during development and in proper functioning of the immune system. In fact, over 900 different genes are now known to be able to bind the vitamin D receptor, through which vitamin D mediates its effects. In addition to protecting against rickets, evidence now strongly indicates that a plentiful supply of vitamin D helps to protect against bone fractures in the elderly. Evidence also continues to accumulate suggesting a beneficial role for vitamin D in protecting against autoimmune diseases, including multiple sclerosis and type I diabetes, as well as some forms of cancer, particularly colorectal and breast.